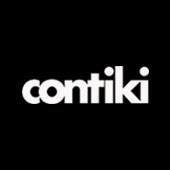 Contiki is the world leader in youth travel, with tours for 18-35s across Europe, Australia, New Zealand, Asia, Latin America & North America. A journey with Contiki is a story of shared experiences, unexpected adventures, inspiring places, lifelong friendships, and unforgettable moments. But most of all, it's living life out loud, utterly & completely. After all, you only get one life.